Roger Mayweather says "my nephew ain't scared of no Pacquiao"
Roger Mayweather was his usual candid self when he took time out for an interview with DogHouseBoxing.com. He believes the fight between Mayweather and Pacquiao HAS to happen or Floyd’s legacy will suffer. About a month ago, he sat in on a meeting between Floyd Mayweather and Bob Arum in which the two discussed the long overdue fight against Pacquiao. Floyd is not afraid of Manny Pacquiao. Pacquiao is trippin’ about the money he would earn from the fight as if it wouldn’t be enough. Pacquiao can beat Juan Manuel Marquez as long as he stays on those pills. Floyd’s abilities as a boxer have not declined. What do you think about Roger’s comments? He doesn’t seem like the type of cat to spew b.s. so I am inclined to believe most of what he said. Time will tell it, though. Whenever this fight takes place, look for me in Vegas. 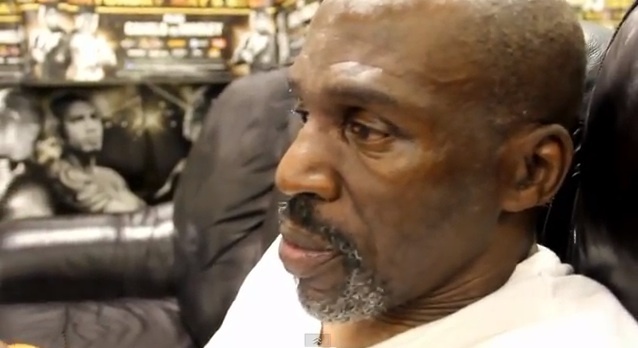 Read Jenna Jay’s full interview with Roger Mayweather.